The yellow (luteo meaning “pale yellow”) drinking vessel (“scyphus”) from the south (“noto”)? 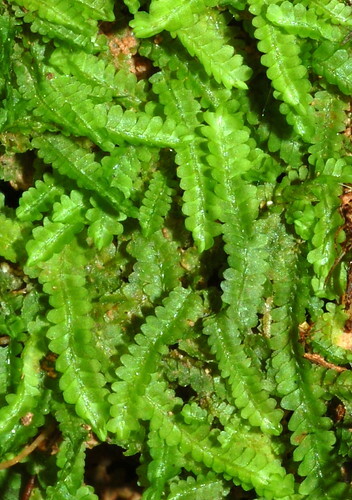 This is a liverwort of rainforest and is also found in New Zealand and other tropical countries. 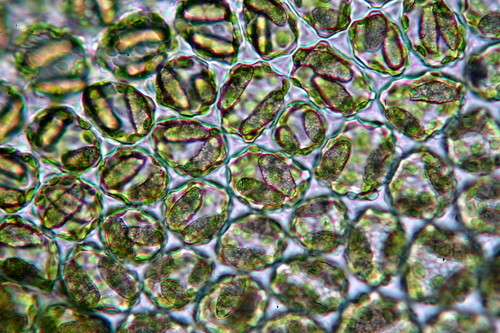 The leaves are somewhat greenish yellow and under a microscope, it is possible to see two huge fine-granular oil bodies within the cells, along with many smaller chloroplast cells. The corners of the cell walls have thickening called trigones, which appear like triangles. These images were taken on a fieldtrip in 2012. Thanks a lot to David Meagher and Andi Cairns who graciously allowed me to tag along on their fieldtrips and drink of their great bryological wisdom. A long yearning? 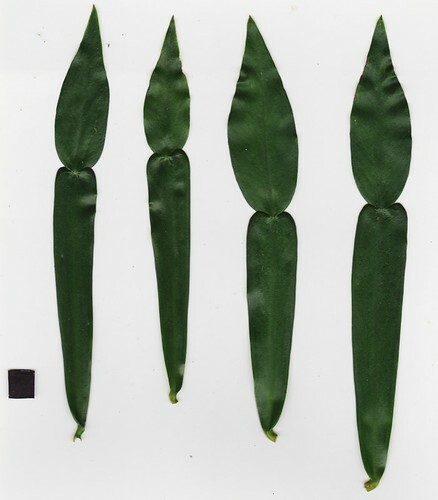 That’s what the name Pothos longipes seems to suggest. In Greek mythology, the character Pothos was part of Aphrodite’s attendants, and carried a vine, indicating a connection to wine or the god Dionysus. And “longipes” denote long-footed. Pothos longipes is one of the most easily identified plants in the Wet Tropics – it’s common name Candle Vine should be a hint. 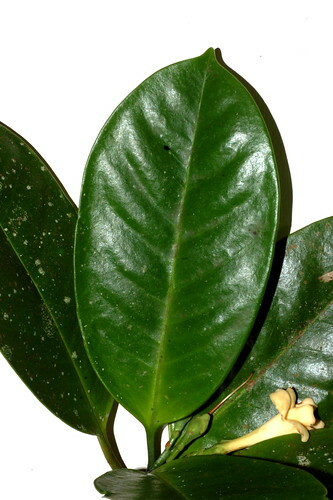 The leaves have a strange look – like that of a candle. 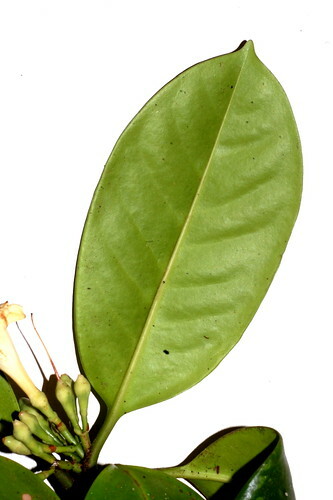 The “flame” part is actually the main part of the leaf, while the long part is a petiole (leaf stalk) that is flattened out with leafy tisue. 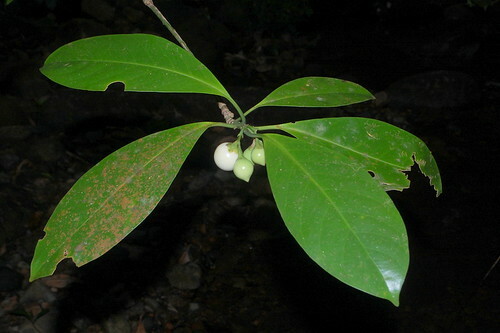 This common root climber is a relative of the Philodendron or climbing aroids, and are seen climbing up rainforest trees, often with free hanging stems. Far North Queensland has one other species of Pothos, Pothos brassii, which is a much rarer endemic plant in wetter rainforests. 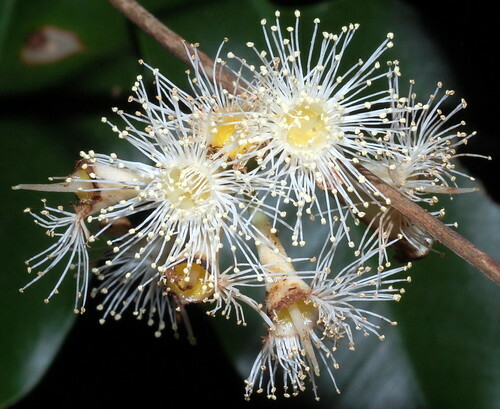 Time to blow the trumpets of Syzygium claviflorum. 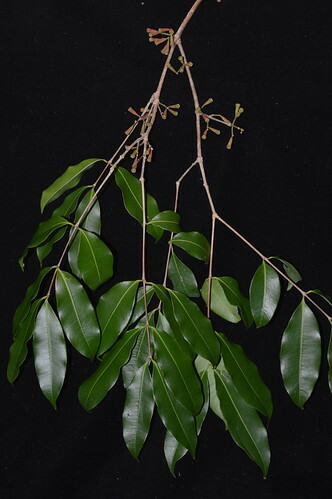 This species is a common understorey tree of lowland to upland rainforest in the Far North Queensland region, and makes for a good street tree. 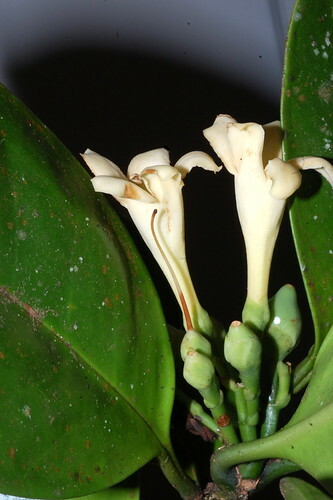 The young cream colored flowerbuds have a trumpet shape, probably explaining how the species got it’s common name “Trumpet Satinash”. 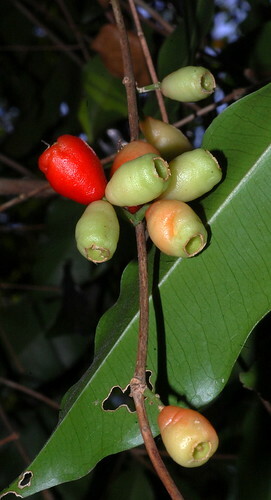 The thin part of the “trumpet” gradually turns red and gets fat as the fruit develops. Then it all goes pear-shaped. 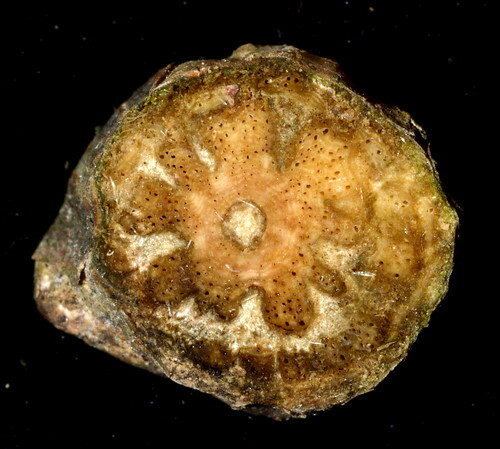 Notice also the deep excavated end of the fruit. 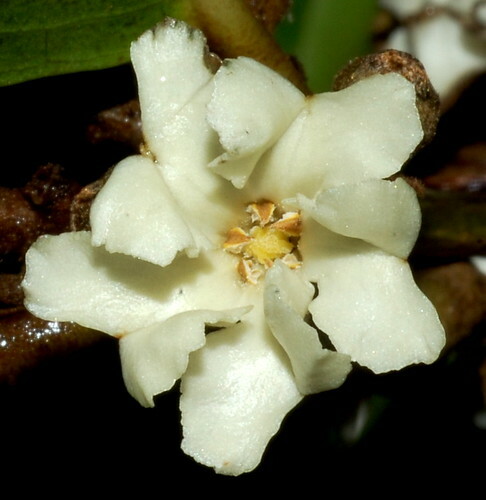 Initially this species was placed under a different genus from Syzygium and called Acmenosperma claviflorum, probably because of the fruit structure. The leaves are quite non-descript and elliptic – exactly how I would have drawn any particular leaf as a kid. 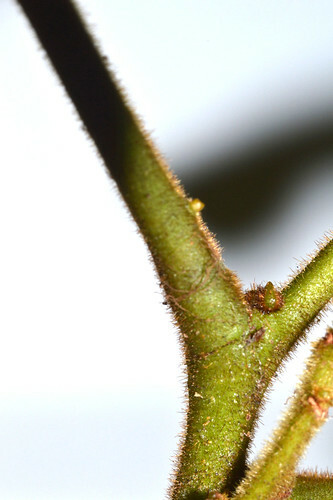 But the upper surface tends to be dark glossy green in contrast to the light green underside. And, I have always noticed that the margins of the leaves have a subtle waviness. Well, as the name suggests, it’s quite hairy. 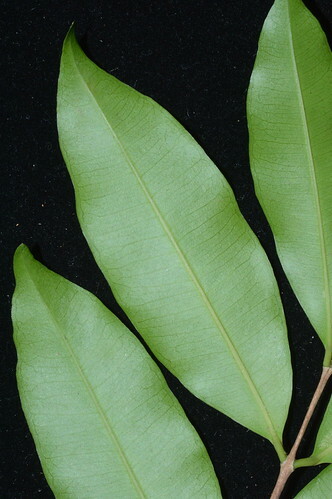 All parts of the leaves and leaflet undersides are brown hairy. 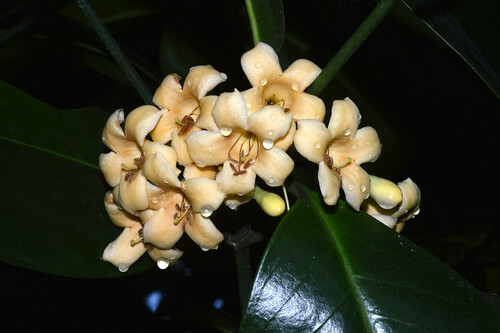 This species is an endemic of the Cape York Peninsular. Thus the common name Cape Laceflower. I haven’t had the pleasure to see it in the wild yet, but fortunately, this small tree has great ornamental potential and is grown around Cairns. 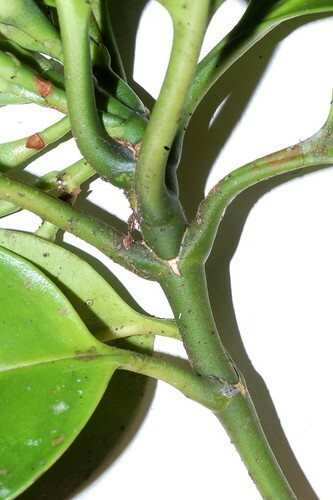 The curved seed pods are eye-catiching, as with most other Archidendrons in the region. 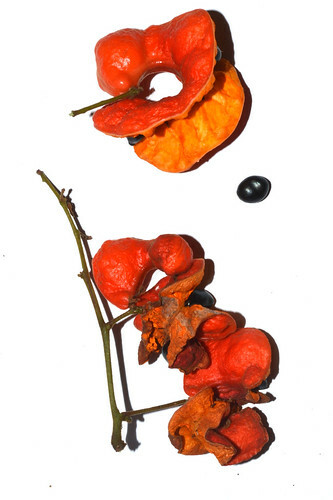 Bright orange with contrasting shiny black seeds – a great way to trick birds into swallowing some seeds without a proper reward. 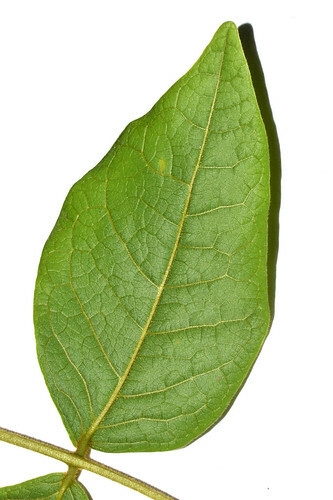 To known where the leaf starts, look for the puny stipule. The little knob on top is a bud. “A morning-glory at my window satisfies me more than the metaphysics of books”. I agree with Walt Whitman. But you ain’t gona find no Erycibe ever at your windowsill. Erycibe is no ordinary morning glory. If you did not already know that Erycibe is from the morning glory family, you probably would not have thought it belonged there. But it does. Erycibe is a denizen of the lowlands, it is a stout liana that weaves through the rainforest profile. 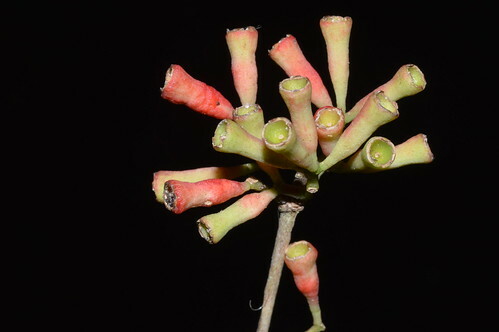 Few would be able to tell Erycibe from the hundreds of species of other twisted liana stems, unless one has the knowledge of making stem blazes and recognizing plants from that. You might even notice that the blaze turns dark upon exposure. These plants have a dark energy! Or if you could recognize lianas by their stem cross-sections, maybe you may recognize the patterns they show. The leaves do not seem to help much either. They do not follow the heart-shaped template that give people fuzzy feelings inside and which is associated with morning glories. 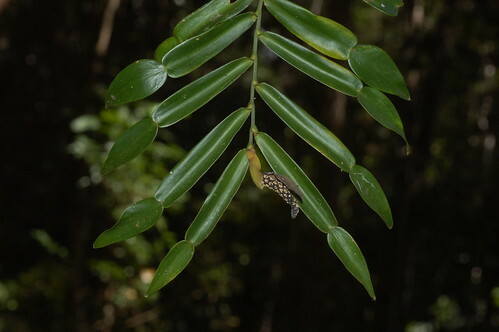 These leaves of Erycibe are like, well, leaves of any rainforest species you’d expect to see – very unforgiving to those who have plant blindness. 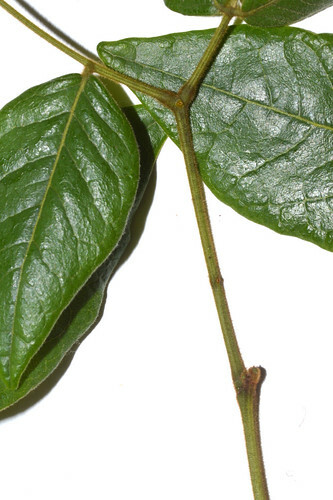 But at least we could say that the leaf stalks have dark brown hairs, and so do the leaf buds and flowerbuds. Again not so morning glory like. 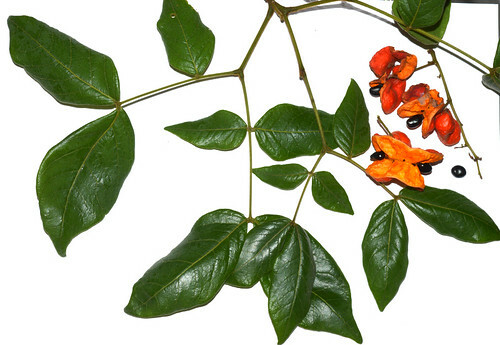 Erycibe is the dark cousin of morning glories – they reek of mystery. 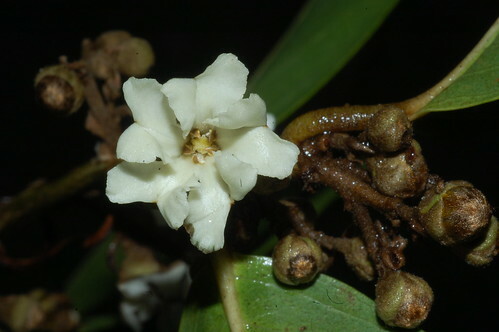 Yet when those Erycibe flowerbuds burst open they present flowers of pure white. They are a glory to behold. So yes, no Erycibe to satisfy me at my windowsill. I must go to the forest to find Erycibe, who is for me metaphysics personified. And the only forests where I will find them is in Northeast Queensland. The fruits of Erycibe I have yet to see. They are part of the mystery of Erycibe that I have yet to be privy to. This is part and parcel of being a acolyte of plants. 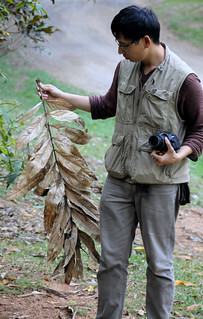 Plants reveal mysteries to you in their own time. But I heard that Erycibe’s fruits are red (thus the “coccinea” in the name). Is it nice to have an example of a type genus for a plant family to grace the gardens and waysides of Queensland. The genus Malpighia is named in to honor Marcello Malpighia (1628-1693), a distinguished naturalist at Bologna, Italy. 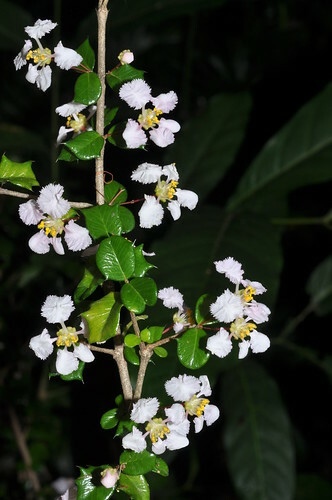 The white-pink showy blossoms of Malpighia coccigera and their frilled petals are a great introduction to this largely New World Tropics family. 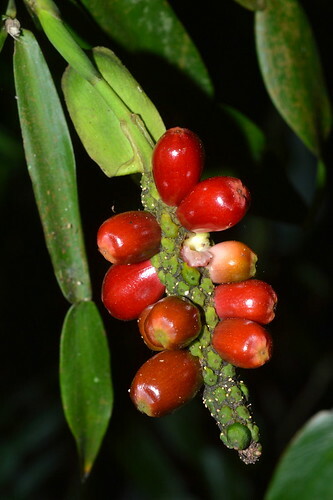 The fruits are also supposedly edible. 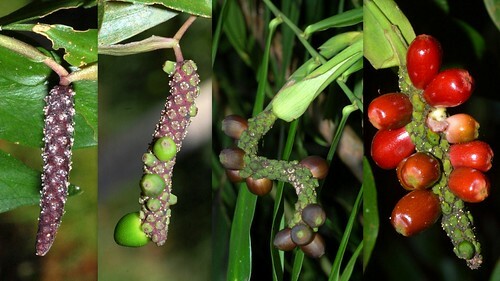 Having now lived and botanized in the South America tropics of Brazil, it is interesting thinking how few members of the family there are in the Asian and Australian tropics. 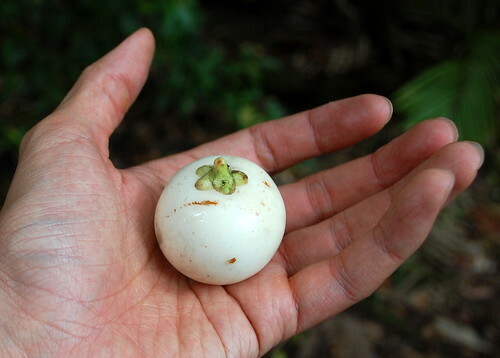 In contrast, the forests and savannas of Brazil are crawling with Malpighiaceaes. 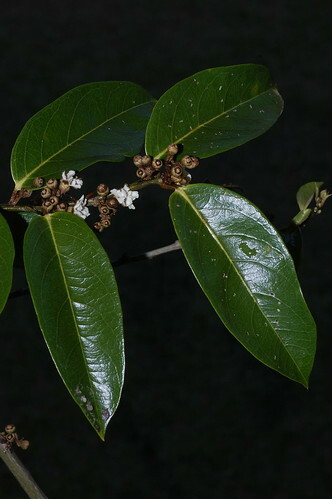 The glossy green leaves resembles that a small holly leaves, although the plant is in no way related to true hollies (Ilex spp.). 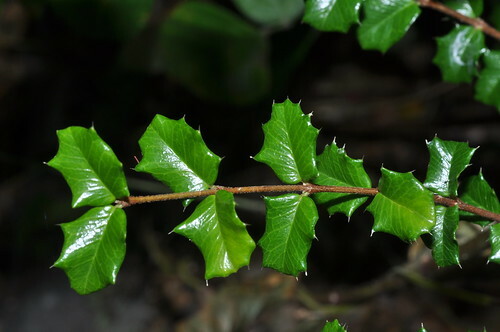 Nevertheless, this has earned this shrub the common name of Miniature Holly or Dwarf Holly. It has also been called Singapore Holly, although I cannot figure out why. 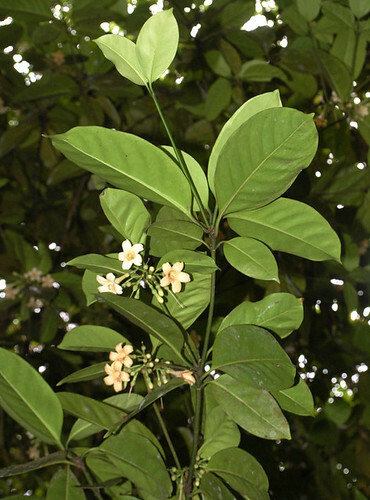 The species is native to the West Indies and does not occur naturally in Singapore. Reminds me of another equally badly named plant, the Singapore Daisy, that does not occur naturally in Singapore.